Every summer, Lavender Hill Farm hosts an array of talented artisans to teach their craft in the beautiful surroundings of our farm. Scroll down for some of our 2019 classes and check back because we are always making additions! Interested in hosting a class at our farm next summer? 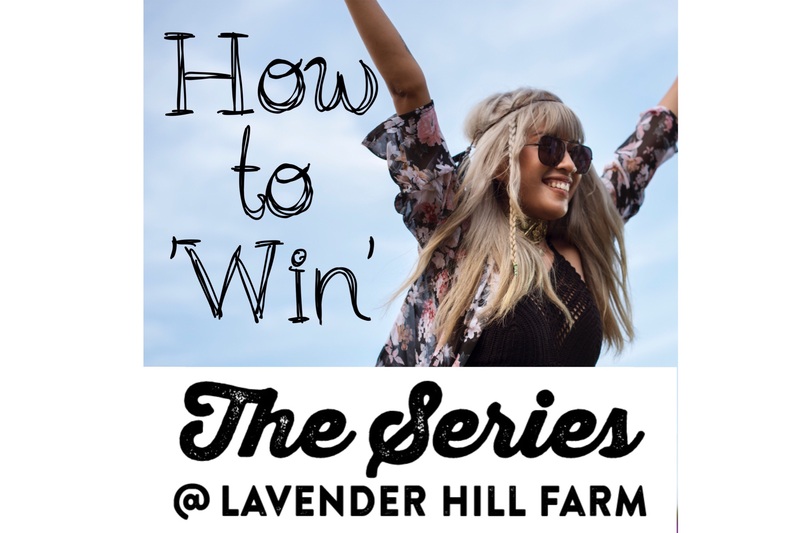 Email us at events@lavenderhillfarm.com for more information. Let’s have a dye day! 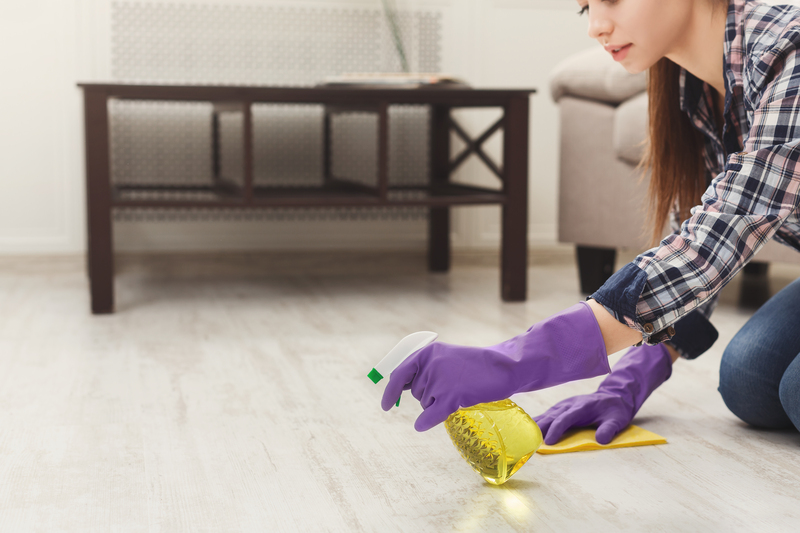 Dyers have been using indigofera tinctoria to create blue dye for centuries. We will be using a modern recipe for this 100% naturally derived fermentation indigo vat. Participants will receive an instructional handout, a silk scarf, and a cotton swatch for dyeing. 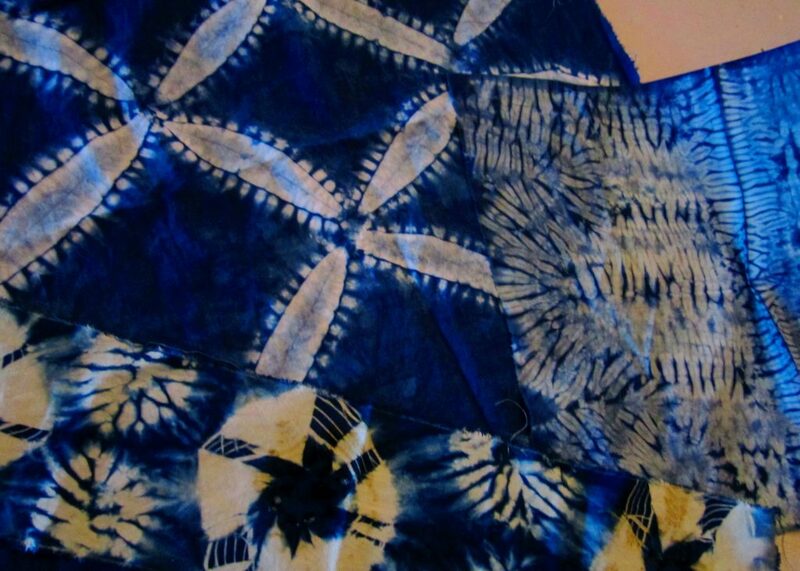 Supplies and instructions for shibori resists will also be provided. Additional ready-to-dye fabric will be available for purchase. REGISTRATION: Call or Email Jasmine to sign up: (231) 675-1506 jasminelacetextiles@gmail.com Pre-registration is strongly suggested. This class has a minimum and maximum attendance requirement so reserve your spot today! If participant minimum is not met two weeks prior, the workshop will be cancelled. PLEASE BRING: Gloves, an apron, scissors, and a plastic bag or two to take your dyed goods home in. Participants should dress for mess! ABOUT THE INSTRUCTOR: Jasmine is a lifelong resident of Northern Michigan and has been practicing natural dyes for over ten years. She has taught many fiber art workshops in the area and has studied facets of natural dye under Shanna Robinson, India Flint, and Elin Noble. Jasmine is also an avid weaver and finds expression for her enthusiasm of local fiber arts as a board member for the Tip of the Mitt Fiber Fair. Join us for a beginners watercolor painting class in our barn! All necessary supplies will be provided, and no drawing experience is necessary. Participants will get a basic understanding of what watercolor painting is all about and will leave class with a finished painting that they have created! This class includes paint, brush and pen to use while in class, a pattern, model painting, and complete step-by-step instructions. 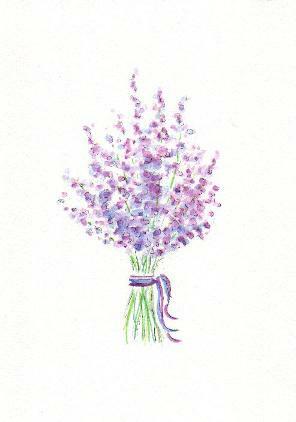 Students will go home with a finished watercolor painting of a lavender bouquet suitable for an 8×10 mat and frame. (Mat and frame not included.) Lavender in Watercolor is fun for everyone and because watercolor is not messy, this class is a perfect vacation experience! RESTRICTIONS: Adults and children ages 8 & up are welcome to participate. Children must be registered along with an adult student. TICKETS: Advanced registration is suggested but drop-ins are welcome. Register by sending a check to Mary Lou Peters at PO Box 855, Mackinaw City, MI 49701. This class may sell out so reserve your spot today! ABOUT THE INSTRUCTOR: : Mary Lou Peters has been painting in watercolor for 30 years. 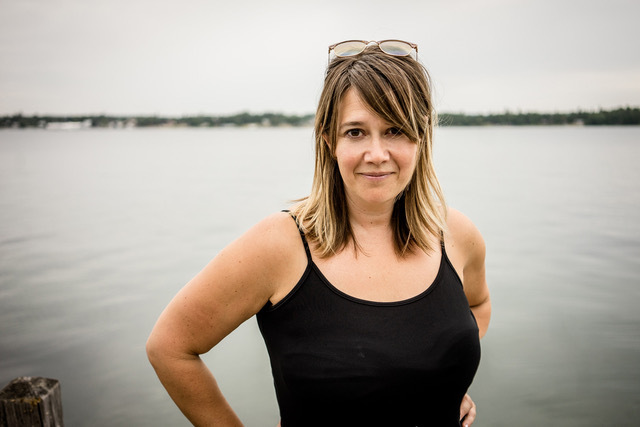 For the past eight years she has taught adults and children, beginning through advanced levels on Mackinac Island, Michigan and on Sanibel Island, Florida. In her whimsical paintings she likes to use the delicate colors that bring to mind the relaxed feel of a Northern Michigan summer. You may view her work at www.maryloupeters.com. For more information please call Mary Lou at (231) 818-6365. Each of us has a personal story to tell, a legacy to share. Be inspired to write and share yours and of those you hold close among lavender fields, working bee gardens, herbal gardens and more. 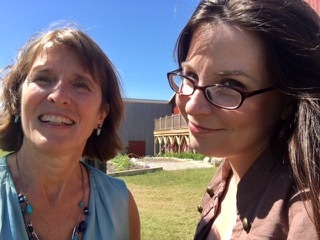 Join writing coaches Jen & Jenn, who have deep experience in storytelling, writing, creating legacies and memoirs. They invite you to sign up for one or both sessions with different themes and writing prompts. FIND YOUR FLOW SESSION 1: You @ Lavender Hill Farm on August 1st Share the story of you. Join us for the first of our summer series designed to inspire creative writing and memoirs in the beautiful setting of our gardens and grounds. Walk through the lavender fields with spectacular views, then enjoy reflective writing time on stories and legacies in your life with experienced memoir writers and coaches. 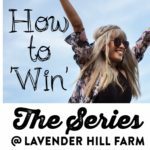 FIND YOUR FLOW SESSION 2: Her @ Lavender Hill Farm on August 9th Share stories of the women you hold close. Their legacy lives on through the stories you tell. Join us for the second our summer series designed to inspire creative writing and memoirs in the beautiful setting of our gardens and grounds. 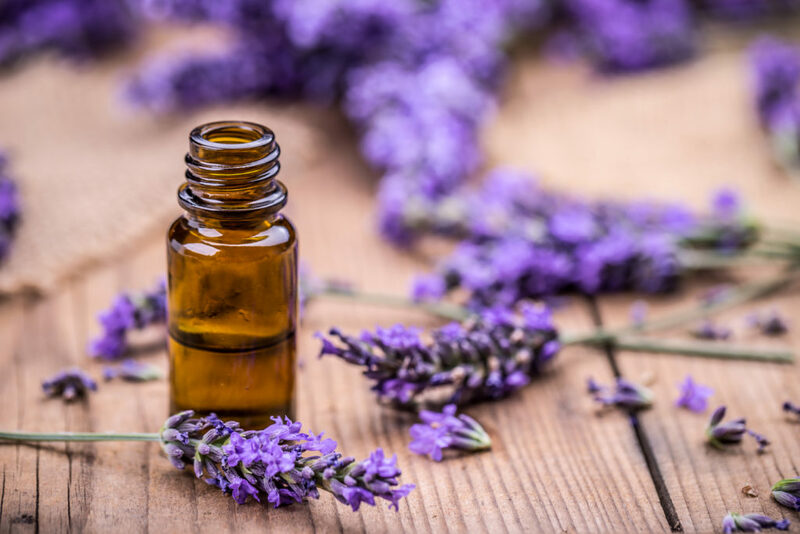 Walk through the lavender fields with spectacular views, then enjoy reflective time about your sisters, close friends, mother, aunt, grandmothers with inspired writing prompts. COST: $30 per person/per session. Cards, PayPal and cash accepted. REGISTRATION : Please register at www.lettersforus.com Drop ins welcome. Dress comfortably, refreshments and supplies included. ABOUT THE INSTRUCTORS: We are a duo of seasoned writers and editors eager to share tips and tools to create legacies and memoirs that inspire. 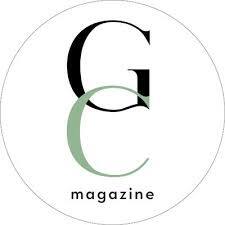 We have a passion for telling personal stories and look forward to helping with yours, or with those you hold close. Turn your photos from everyday snapshots to fine art to showcase in your home. Whether you have a camera you do not know how to use, or you just aren’t capturing what you’d like, this class will take you to the next level. In this workshop we will go over the four most important elements of capturing professional photography images. Understanding the basic fundamentals of exposure, light, design and posing will take your photos from your computer to your wall. Photography Starter Kit Goodie Bag included! COST: $48 per person. Card, PayPal or Venmo payments accepted. PLEASE BRING: A DSLR or Mirrorless Camera. If you do not have one, an iPhone is acceptable but in this class we will discuss some topics iPhone photographers will not use. ABOUT THE INSTRUCTOR: For the past decade Andrejka has traveled the world photographing people, places, and events. She is an internationally recognized, award-winning professional photographer whose work has been featured in a variety of magazines, blogs, and marketing campaigns. Andrejka focuses her photography on capturing true emotions of life and doing so in a way that captivates her audiences. 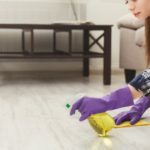 After starting her career in Southern California, Andrejka moved her company, Andrejka Photography, to Northern Michigan and St Petersburg, FL. 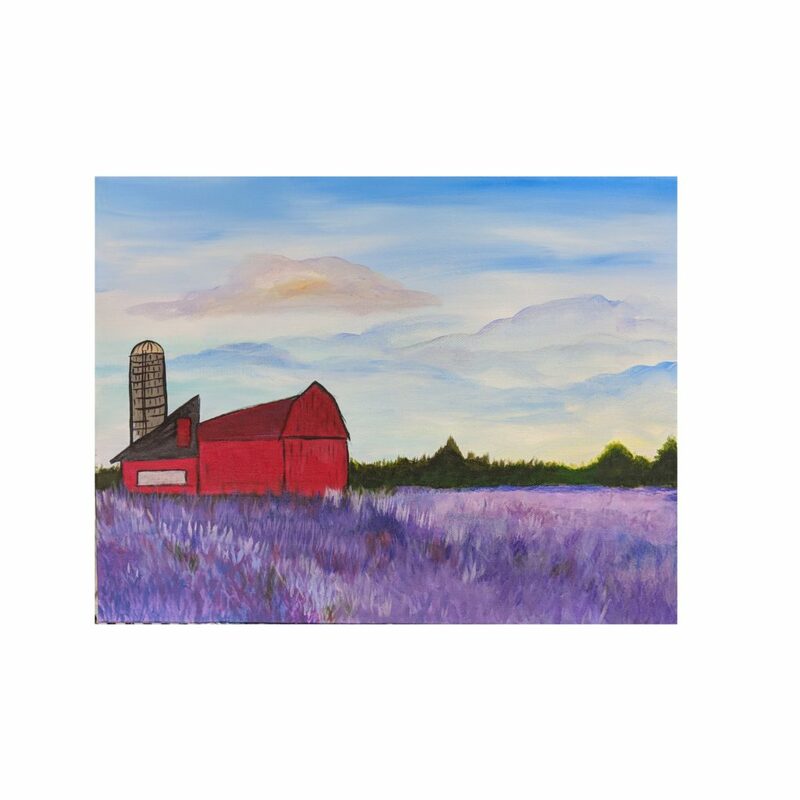 Please join us for a relaxing painting class at Lavender Hill Farm lead by artist Stephanie Hanel from Little Black Dress Studios. 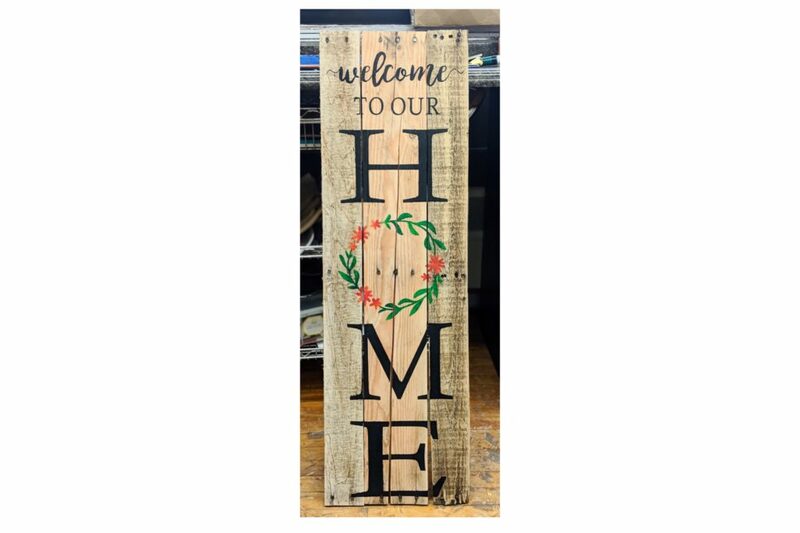 Enjoy lavender iced tea while Stephanie walks you step-by-step to create your own masterpiece on a 12 x 16 canvas in June or a 12 x 14 “Welcome to Our Home” pallet sign in August. Canvas/pallet, tea and supplies included and all ages and skill levels are welcome! REGISTRATION: Visit littleblackdressst.wixsite.com/lbds or Call or Email Stephanie to sign up (231) 631-5717 or littleblackdressstudios@gmail.com Pre-registration is required. This class could sell out so reserve your spot today! If participant minimum is not met two weeks prior, the workshop will be cancelled. PLEASE BRING: An apron if needed. ABOUT THE INSTRUCTOR: Stephanie is happily married and a busy mom of four who enjoys filling her days with adventures. She was a fifth-grade teacher in 2001 and in 2006 transitioned into a full time elementary, middle & high school art teacher. Stephanie is currently teaching art at Wolverine Middle/High School. In 2016 a friend asked if she could teach Paint and Sip classes. She started with a small group of friends, the idea took off and her painting business, Little Black Dress Studios was created. Stephanie has a great love of painting and helping others find enjoyment in painting too.